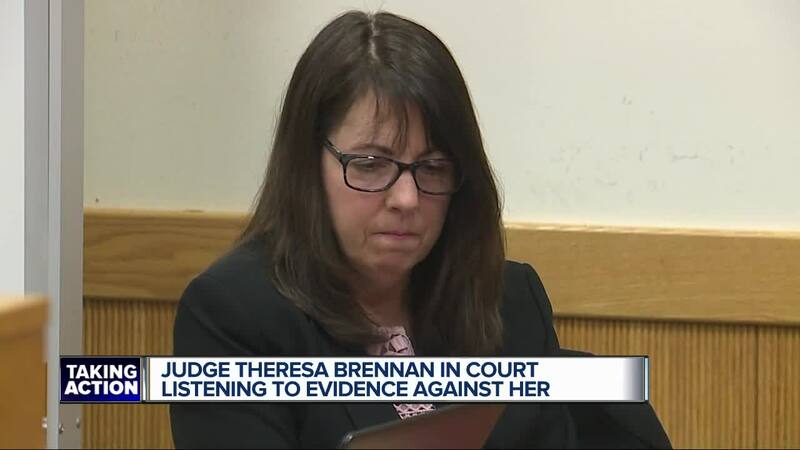 Livingston County District Court Judge Theresa Brennan will be in court Thursday morning charged with Perjury, Destroying Evidence and Misconduct in Office. The case centers on her own divorce, which was filed and went to her court. A state police investigation found that before she recused herself, she tried to wipe her cell phone clean with the help of a staffer. She's also accused of lying in a deposition. She faces up to 10 years in prison if convicted. Brennan is also at the center of a Judicial Tenure Commission case that could oust her from the bench. In that case, she's accused of having an affair with the lead detective in a murder case in which Jerome Kowalski was convicted in her court. He has since been granted a new trial. Brennan has been suspended with pay.